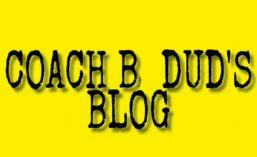 This post is a combination of a few REALLY old posts from my previous blog. Back a few years ago, when I was still sipping the “have to live in 4 wide spread offense” Kool-Aid.. we ran a lot of sprint out. Off of that sprint out action our best play was not the sprint out pass, but our sprint draw. First I will explain the action. In our sprint out game our QB catches the snap and sprints with depth to the edge, the RB aligns playside and will lead block, helping the tackle seal the edge or pick up any sort of backer free off the edge scenario. We want the sprint draw to look similar, so our RB will slide 2 steps playside then work back for the mesh. Qb catches the snap and takes his sprint out, sticking the ball in the RB’s belly on his way by. Now in the clips you will not see a great slide by the RB’s, and our QB doesn’t sell the sprint far enough or long enough. We just didn’t emphasize these small details like we should have that year. Fixing these mistakes will further sell the sprint out look to the defense. Now to what really matters… the offensive line. The biggest reason I am so high on sprint draw is the investment I have to put in to it. There is no new scheme to it. We block it the exact same way as we would any pass play. We ID fronts, have a man that we have to block. We will set, punch, and then drive block the defender whichever way he is going… the biggest thing is to stay engaged. If say, a guard is responsible for blocking Mike in pass protection, then he would set, show his hands, and then fire out upfield to that LB. 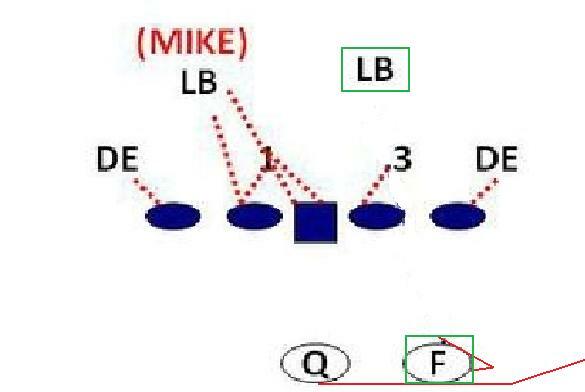 In the case of a 6 man box, where the RB fits into pass protection we keep all of the rules the same. Generally our RB has a specific LB depending on how we ID the front. On draw, he is still responsible for that LB, only know he is responsible for making him miss. I know it doesn’t guarantee a hat on a hat but it allows us to keep our rules 100% consistent and we get so much LB movement from sprint out that it makes the RB’s assignment of making him miss easier. Really you want to call sprint draw because that playside LB is over reacting to sprint out to disrupt the sprint out game. This is where the constraint comes in to play. I am big on recycling schemes. You can get away with using your existing half slide rules to block any kind of draw (Rb, QB, or Sprint). I want the QB calling the half slide away from the RB. This would typically put the RB on the playside inside LB. This LB is the most influenced and the majority of teams have a built in sprint rule for this LB to fire off the edge to help contain the QB when he sees sprint. The rest of the OL blocks their gaps or their man. This is what my rules above evolved into, we just began calling our half slide protection away from the RB. The blocks may change some (which is how this play hit anywhere from near to far B gap for us) but the rule doesn’t change. 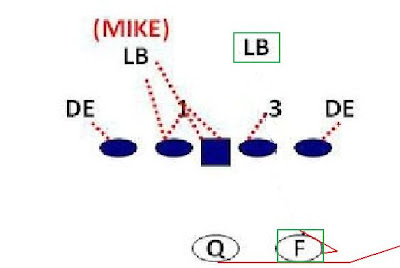 Note the movement even crappy fakes create from the defense in a few of the clips, also notice there are many clips where the OL isn’t exactly dominate, but they are able to stay engaged on a defender and let the RBs use their vision and athleticism.